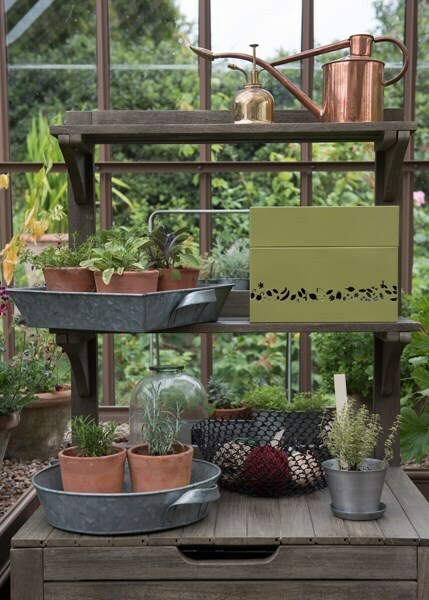 Store both bought and collected seeds in order of their sowing month with this handy seed organiser. 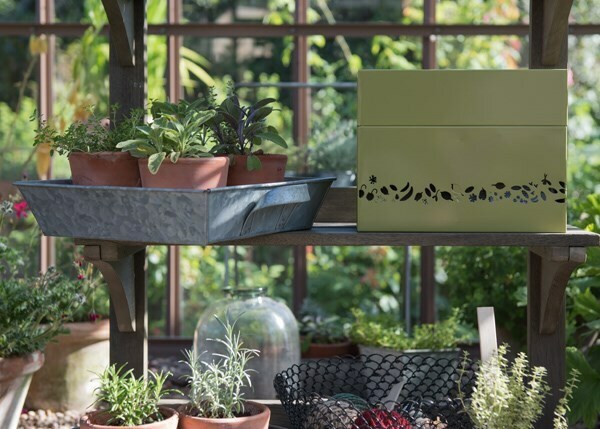 The specially designed box is roomy enough to hold all your packets of seeds for the year, including those bulky bean seed packets that won't fit into most seed storage tins. 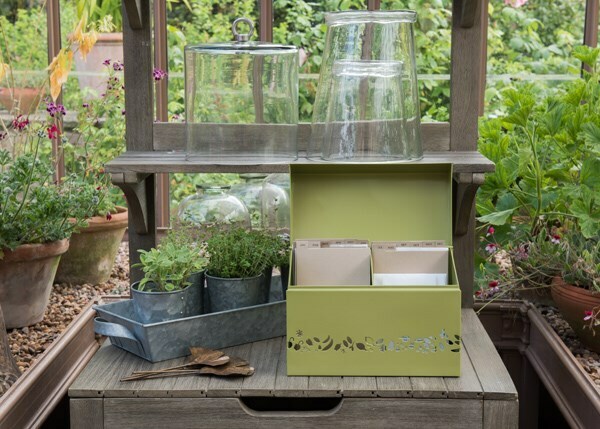 You can also stash away envelopes of seeds you’ve collected from your fruit and veg. 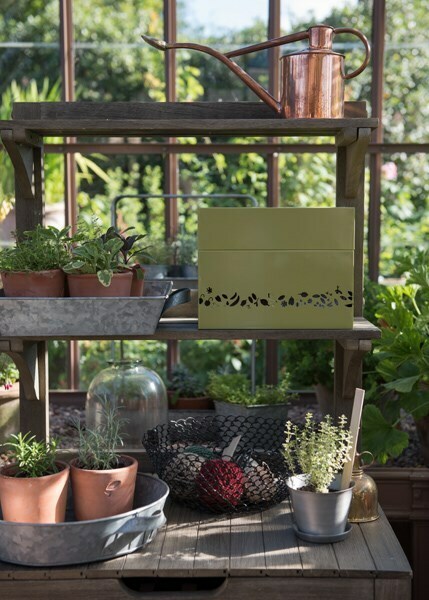 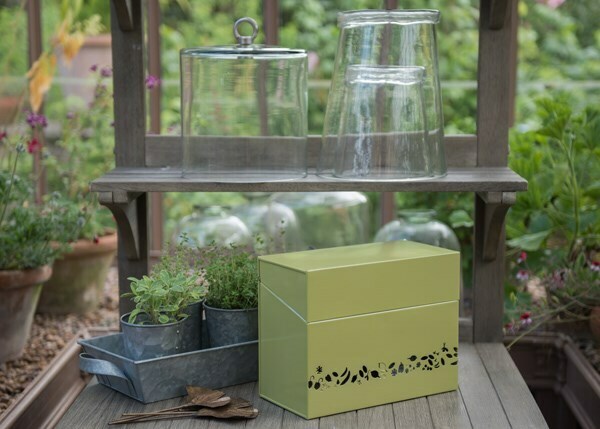 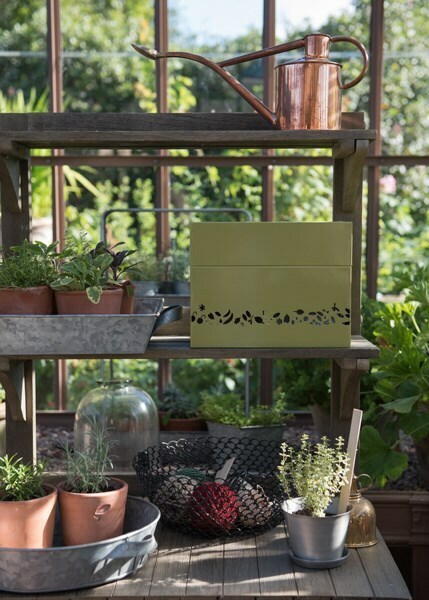 The seed-shaped perforations in the box will let fresh seeds breathe and dry out ready for sowing. 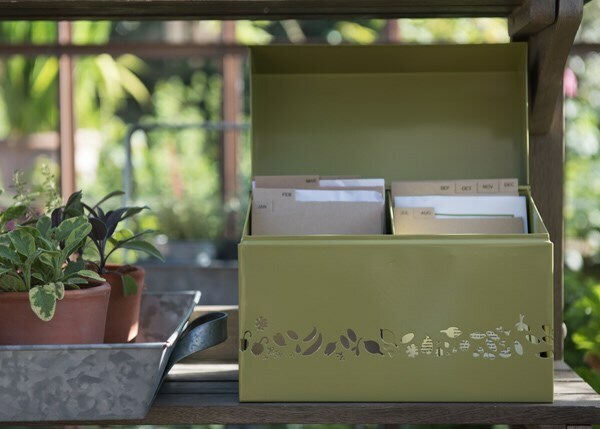 The sturdy leaf green box is made from powder coated sheet metal and includes natural brown card dividers.